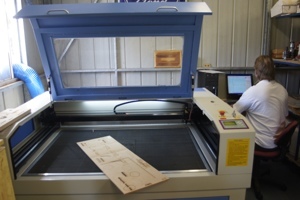 Had to take back the CNC Shark to Carbatec today – thanks for the loan! It was interesting to experience CNC machining, and I can see how having a CNC router would be very useful in a cottage industry setting. 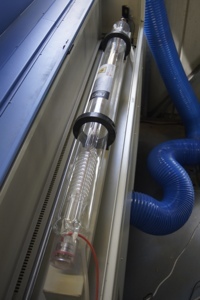 It is quite a different animal to a laser, but both operate on a similar, adjacent playing field. One of each would make an ideal setup – some jobs are perfectly suited to one, some to the other. Both work from a subtractive perspective, so a 3D printer would provide the additive component. That shouldn’t be too far away now. Think next time, one of the requirements for a CNC router, is to have one that doesn’t have a router that screams so loudly when it operates. Many of my machines are moving towards a quieter form of woodworking (not as far as getting away from murdering electrons mind), but at least either quiet brushed motors, the even quieter brushless, or induction motors on the larger machines. Having a small thing that screams for the 2-3 hours of a larger CNC job is just not pleasant! The CNC Shark doesn’t have to use the Bosch router, so I’d be looking for a different router if I did get one of these. So back to more traditional forms of woodworking, at least for the time being. I expect at some stage that each of these options will be available in the shed, just not sure about the timeline. Happened to be passing by Caboolture, and couldn’t let the opportunity pass to drop in on Larry (as in Lazy Larry), have a beer with a mate, and check out his new laser engraver! And it is a monster! But more of that in a sec. I haven’t seen Larry’s place since my introduction to the Torque Workcentre a few years ago, and it was very familiar- a shed away from home. 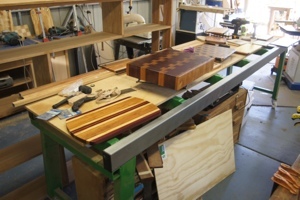 Still crazy with all the projects he has on the go (and even more so now that Larry is full time operating out of the shed these days- selling through numerous markets, and online). Interestingly, despite Larry being the very first purchaser of a Torque Workcentre, and then the first dealer, there was not one to be seen (and only a base being used as a bench). 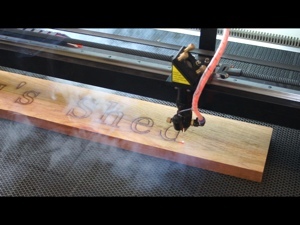 Now to the new star in Larry’s eye- his laser engraver, and it is awesome! The size, capacity, wattage, possibilities. 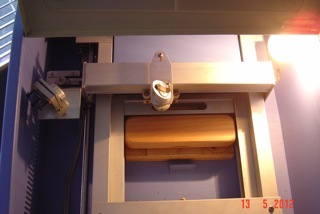 The beam is reflected around and down to the lens to focus it onto the work. 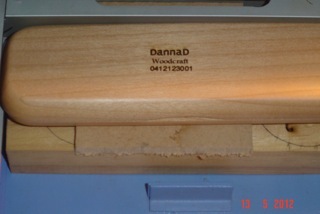 Fast, deep (and it can be used to cut thinner stock, not just engrave), sharp, and accurate. And it may not seem cheap at around $7k, a lot cheaper than the $20k+ they can still be. The result will be proudly mounted in the shed. Thanks Larry, and sorry for dropping by unannounced! 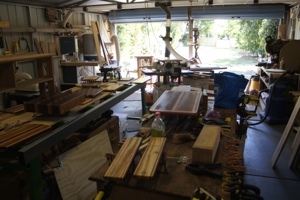 Was round at the Roving Reporter’s workshop today, having a play with a few bits’n’pieces. He has a couple of new texturing tools for the lathe which were interesting, especially seeing as I hadn’t tried these out in person before. 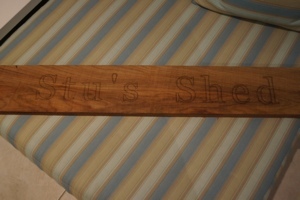 Didn’t take any photos, although you can see it in action in Episode 72 of Stu’s Shed tv. Not everyone’s cup of tea, but I could see such a use for one of these machines, whether it is project adornment, or part fabrication. There are all sorts of images of results of laser printers on the web. Some amazing stuff! 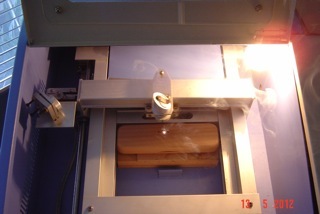 Setting up the burn, using a pretty basic program that effectively “prints” the info via the laser onto the workpiece. 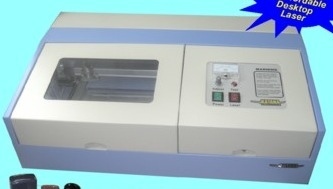 The laser with the top open (this is a ‘real’ laser printer!) 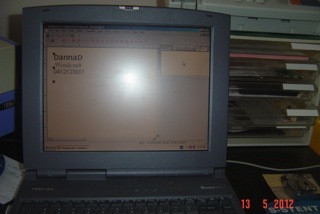 The laser is not in the head (which is in about the middle of the screen) – that is a moveable mirror that reflects the laser down to the work. Partway through a burn. 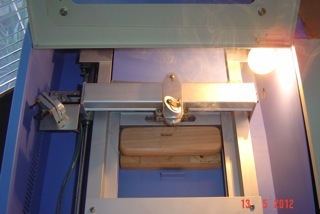 You can see the spot of light – this isn’t the laser, but the resulting mini flame at the point the laser is hitting the wood. Depending on how intense the laser is set, the flame and smoke can be very fine/indistinguishable, or rather dramatic. Burn complete. 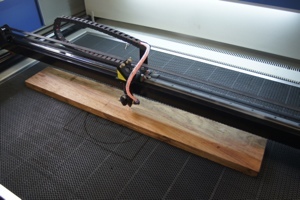 This unit can do small objects: business cards, makers marks, engraving into pens etc. About 8″x8″ in size. The price has dropped dramatically in the past few years, and you can potentially now get one of these laser units for under $1000. I’m currently researching just where you can pick up a reasonable unit, for a reasonable price. 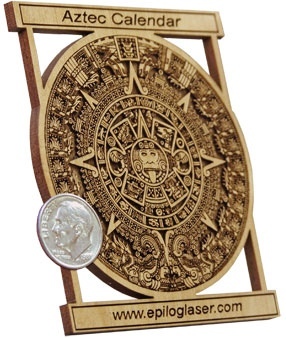 If anyone knows suppliers in Australia that may be interested in having their unit included in future articles on laser engraving, you can suggest they contact me! 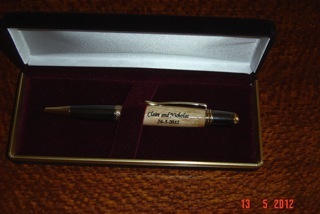 Think I’m getting the pen-making bug back again!